So maybe you aren’t the craftiest person. Artistic talent usually has unbalanced genetic dispersal, as you might be well aware. But these simple Do-It-Yourself projects are perfect to bolster some creativity confidence, and save some cash in the process. I mean, really. We all know this is what Google was made for. So start up the search engine and pick whatever looks the most fun, useful, or do-able to you. 1. 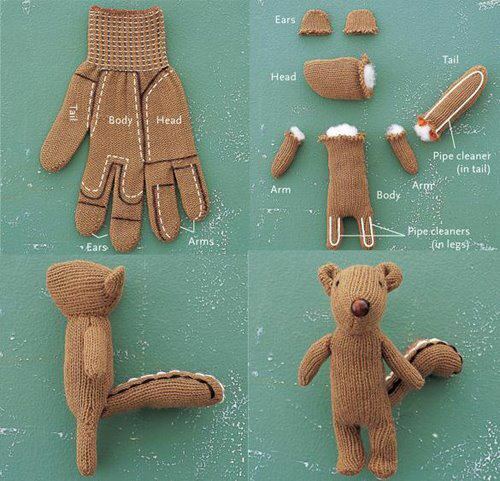 Squirrel Glove: This is my personal favorite because the last thing I would have thought to associate with a glove is a squirrel. Since I’ve seen very few gloves this warm winter, I can bet they are in drawers and closets, maybe missing the one it matches. Follow the instructional picture and stich this little guy up! 2. Duct Tape Roses: When Google brought me to this lovey bouquet, I immediately added colorful duct tape to the shopping list. I’m sure any dorm room or apartment could use the sprucing up of flowers, but who wants to break the bank on something that lasts a week? Here’s the perk: these never die, and can be put together in the duration of your favorite movie. 3. Homemade Rock Candy: This is for the sweet tooth. If you’re like me, when midterms and finals come along, you grab the closest box of salty or sweet goodness and eat like it’s a race to the finish line. I’m counting on this to be the cure, even if the sugar content is still high. 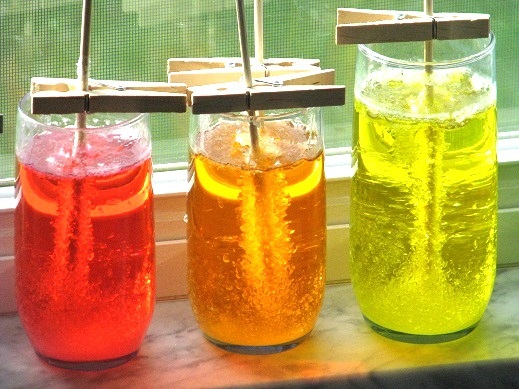 While this is a more complicated process requiring you to heat a 2:1 sugar to water mixture and wait about a week for the final product, you can create your own personal batch of brightly colored and custom flavored candy. 4. Tangerine Candle: Before you hastily peel open your next tangerine and go to throw out the rind, think of what you are missing! Cut just enough so you keep the halves of the peel in tact but can pull out the fruit. That white stringy stuff (yes, that is the technical term) that the fruit leaves behind? Soak it in olive oil and the light it up! 5. Matte Nail Polish: Maybe you’re not into your nails having patterns or being a different color every week, but it doesn’t hurt to mix it up sometimes and here’s a cheap, easy way to try. Find some old eye-shadow you cracked years ago and mix it up with clear nail polish. It will give you a cool matte finish. 6. 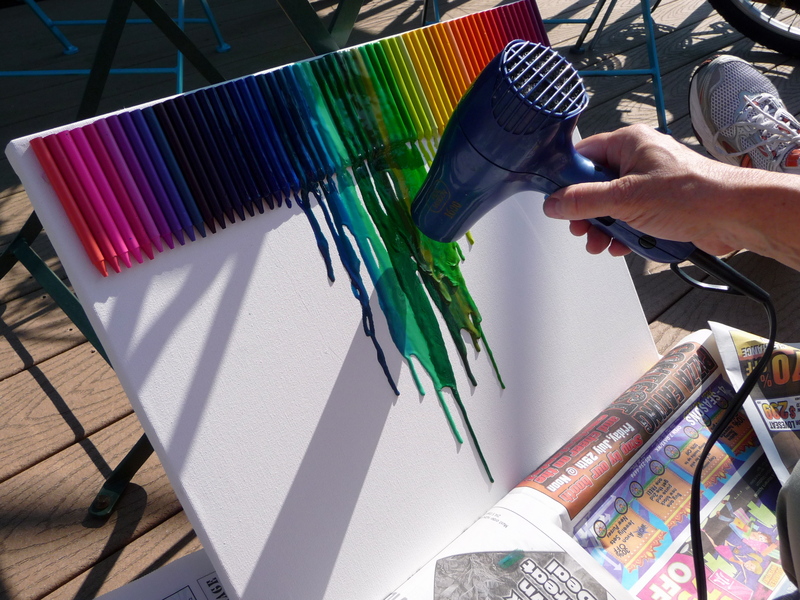 Crayon Art:Canvass board. Crayons. Hair-dryer. Go. 7. Teeth whitener: This homemade solution is definitely a money saver that deserves a chance. Simply dip Q-tips in hydrogen peroxide and rub on your teeth for 30 seconds right before brushing. Do this once a day for a few days and see a pearly-white difference. 8. Salt Dough:First, this isn’t food. Second, you can make anything you want with the dough (pendants, letters, cups), bake it for 2hours and 250°, and paint it to your liking. Just mix 2 cups of flower and 1 cup of salt with cold water. 9. Antique Picture Frame: The hardest part of this project will be deciding what pictures to put in the frame. 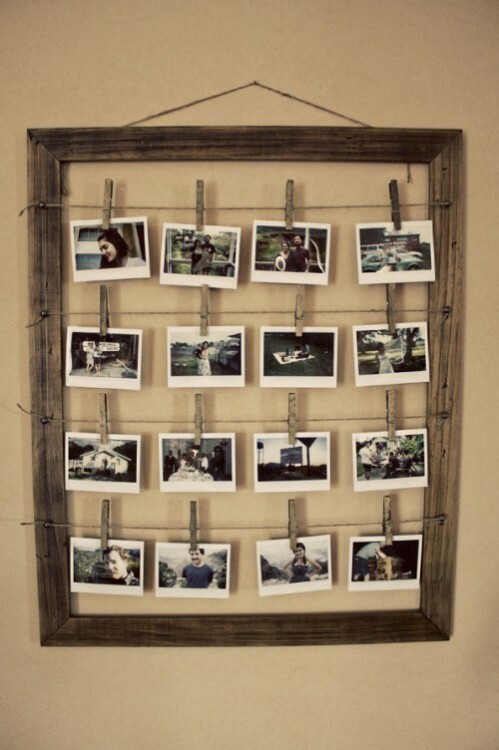 Flea markets, craft stores, or your basement will have a big, old picture frame – just run strands of wire or sturdy string from each end of the frame and clothes pin pictures to it. 10. Thread Wrapped Earphones: Kill two birds with one stone by making you’re headphone unique and tangle free! All you need to know how to do is a basic knot you would use for making friendship bracelets and string you can buy at any craft store. Make sure you have enough to be about three times the length of the earphones in order to get the job done.